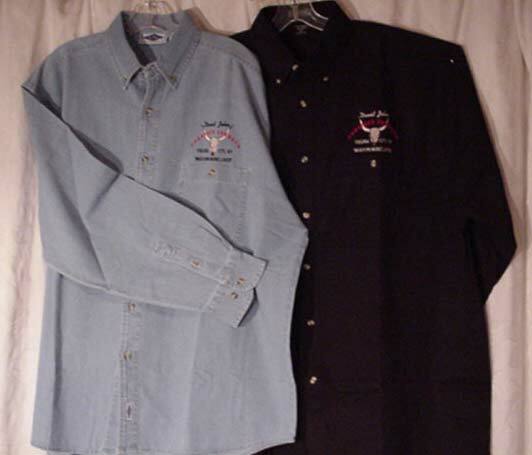 MEN'S DENIM SHIRT COME IN : DENIM BLUE - BURGUNDY BLACK - BROWN - FOREST GREEN / this includes shipping and handling. Logo embroidered on the left breast. LADIES PINK SWEATSHIRTS IN PINK ONLY AT THIS TIME this includes shipping and handling. 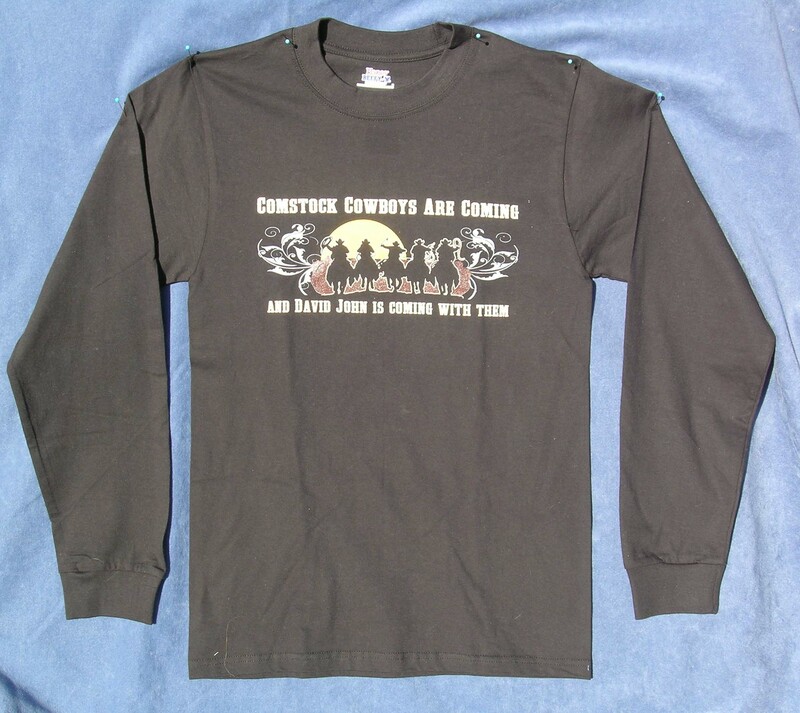 "David John and the Comstock Cowboys"
MEN'S LONG SLEEVE T-SHIRT COME IN : GRAY - TAN - BROWN BLACK - this includes shipping and handling. 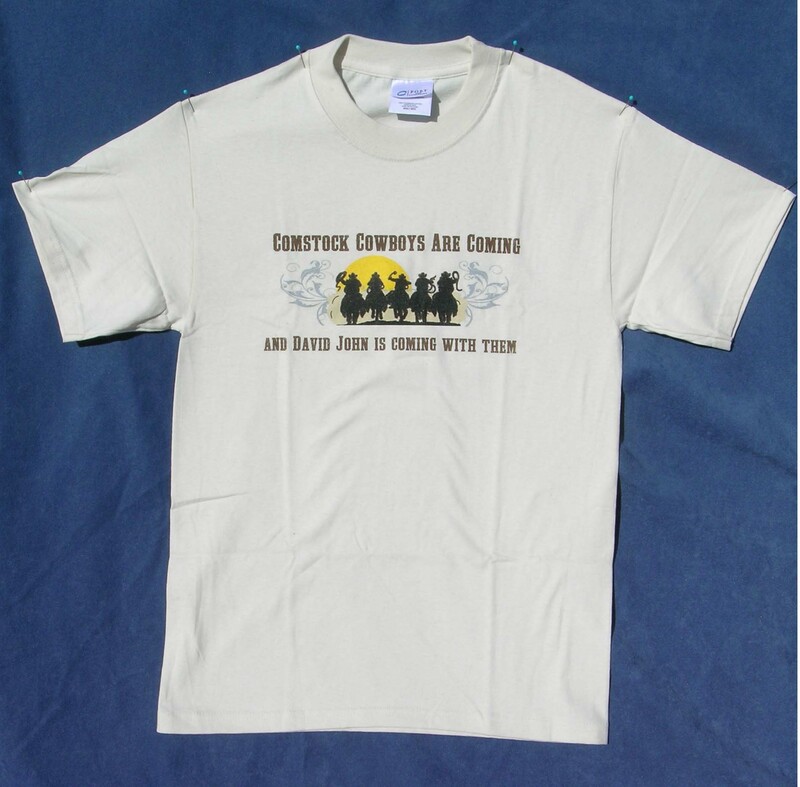 and David John is coming with them"
MEN'S SHORT SLEEVE T-SHIRT COME IN : GRAY - TAN - BLACK - BROWN / this includes shipping and handling. Please indicate size, color, & quantity. Please allow 2 weeks for delivery. Thank you.